The Father could not have conceived of anything more to save the children of men. He foreknew all that would trust in Jesus, and chose them before the world began. He preordained that those chosen would be conformed into the likeness of His Son.. and God took the responsibility to save us body, soul and spirit by grace – thru faith. God Himself decided He would save us totally – for we could not save ourselves, and every promise of God is yours by grace – simply because you trusted His Word. He redeemed and enlightened us, and opened up to us the mystery of His will. He took upon Himself the responsibility to change us to be just like Christ. He even adopts us as His own children, and has scheduled a date for our adoption. His Spirit sealed us as His purchased possession – to protect us from all harm. He accepted us in His beloved Son – making us His church, His body and His bride. He gave us the indwelling Sprit to guarantee His genuineness and seal of ownership. He gave us a glorious inheritance and made us joint-heirs with the Lord Jesus Christ. The Father could not have lavished more grace on the undeserving children of men. We are in Christ – complete in Him – accepted in Him, and our reward is in Him. But God desired that whosoever will may come – not one sinner need be excluded..for all who trust in His name will be saved. He ensured that all who trust in Him can know undeniably they’re secure in Christ, for our security does not rely on our righteousness but the righteousness of Christ. Our salvation has nothing to do with our character, but rests on Christ finished work. Our eternal security is not dependent on our good works, but on Christ’s work alone. Every step of salvation is planned, performed and finished by God – by His grace. Every expression of salvation is secured in Christ’s righteousness – by His grace. Past, present and future salvation is planned, performed and finished – by grace. Past, present and future salvation is planned, performed and finished – in Christ. So what do we have to do – NOTHING. Simply believe all He says in His Word. Believe God’s Word – for what He has planned, performed and finished is sufficient. We have nothing to contribute and no merit belongs to us – it is all by His grace. God could not have conceived of anything more to save the children of men. God could not improve on anything that He has provided for us in Christ. His plan of salvation is entirely-whole / exhaustively-complete / totally-accomplished. His purpose in Christ is devoid of any spiritual want or need – and it is ALL grace. Our identity in Christ means total identity with His person – character – essence. All that He is we are to become – all that He has is to be ours – and it is all grace. The sufficiency of Christ’s work is sufficient for us – God needs nothing more. God’s satisfaction with us flows from His utter satisfaction with His perfect Son. We are identified with Him. Our position is secure in Him. Our union with Him is eternal, – and He is our portion forever – Amen. 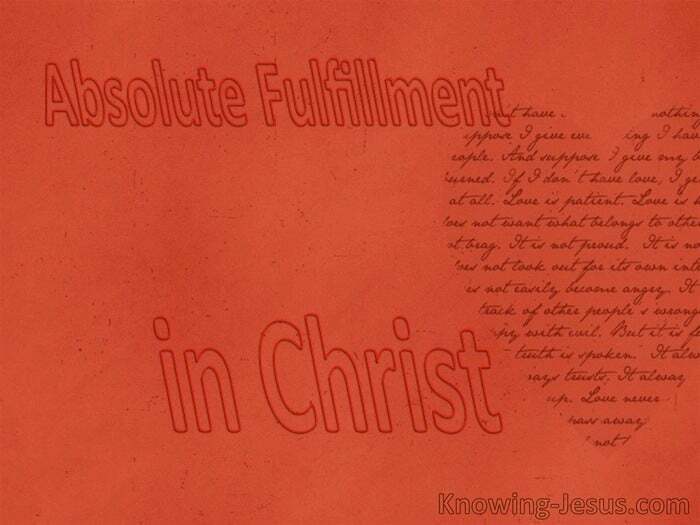 Absolute fulfilment for humankind is found in Christ alone – and nothing else. 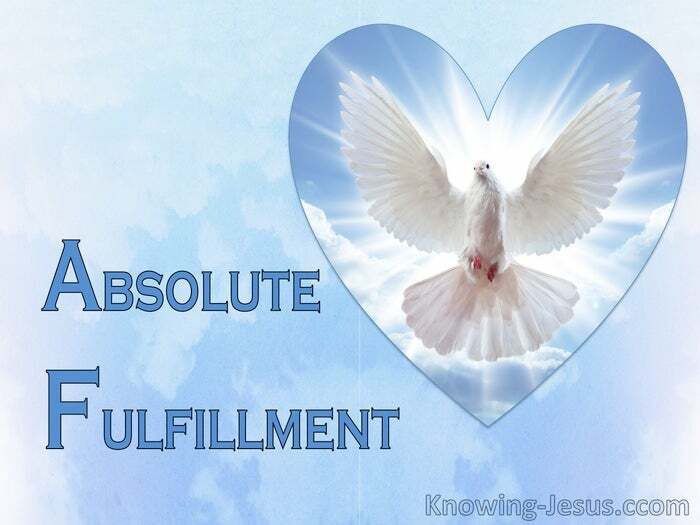 Christ is the fullest and most complete source of all God’s blessings to us, – and this completeness in Christ provides the most meaningful joy for our soul.